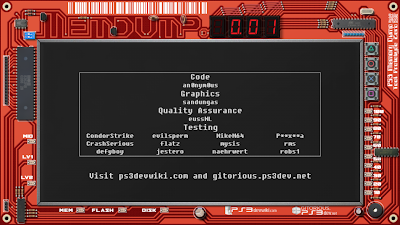 For all of you out there intereseted in, or already in the process of reverse engineering the PS3, this new tool will make your life a whole lot easier! Now you can dump LV1, LV2, NAND/NOR Flash and eEID from one tool! There have been methods in the past that accomplished the same goals, but certainly the ease of use and speed hindered many. Of course, none had such a beautiful user-interface either. Place the necessary pkg file in the root of an empty USB flash dongle, and install like any other pkg. 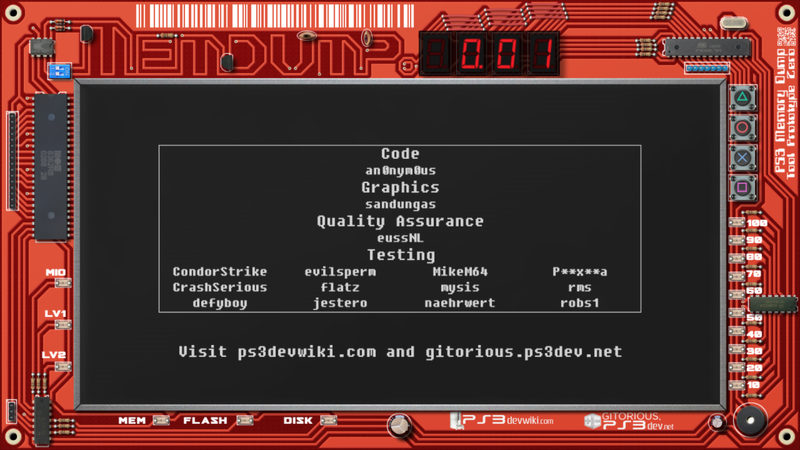 memdump is known to work on CEX or DEX PS3s running firmware versions above 2.70, with or without OtherOS++ patches.